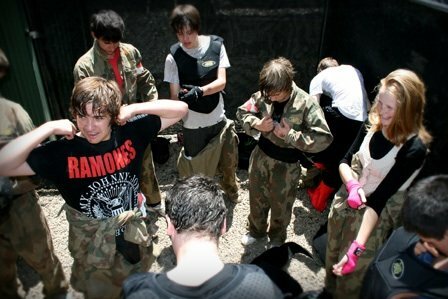 Visit Delta Force Paintball for a fun and entertaining day that will put a smile on everyone’s face. It’ll definitely be the most adventurous and talked about birthday party of the year. All Delta Force centres are complete with picnic tables for you to enjoy your birthday lunch. The base camp will be your headquarters for the day where you can purchase additional paintballs, food and drinks. Here you can also relax in between games and share your war stories from the previous battle. Call the Delta Force booking office today on 1300 850 744 to book your next birthday party.